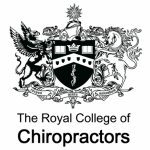 Members of the RCC who are based overseas, and who are not participating in either a national CPD programme or the UK GCC CPD programme, are asked to participate in the RCC’s overseas CPD programme. This requires annual submission of CPD returns using copies of the form provided below. CPD returns are requested at the time of annual membership renewal.